This stunning canvas features the Desert Dragon design and is 25x19cm in size.Canvas comes wrapped i.. 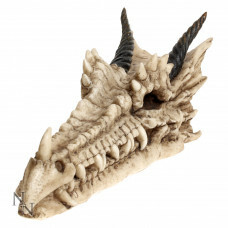 This dragon skull is not only awesome, it's also a fully functional incense burner! Cast in the hig.. This stunning canvas features the Dragon Anatomy design and is 25x19cm in size.Canvas comes wrapped .. This stunning canvas features the Dragon Beauty artwork by the amazing Anne Stokes.The canvas is 25x.. This stunning canvas features the Dragon Mage artwork by the amazing Anne Stokes.The canvas is 25x19..
Meet the dragon of the castle! This mighty dragon guards over this castle ensuring that no one dares..
Curled over the top of a rock formation, this Dragon’s stares inquisitively. A small metal tray is .. This stunning canvas features the Dragon Trainer arwork by the amazing Anne Stokes.The canvas is 25x.. Welcome to the Dragons Den! 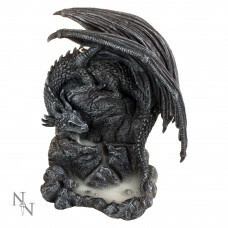 This piece will go perfectly with an existing dragon collection, or if .. This stunning canvas features the Dragonkin artwork by the amazing Anne Stokes.The canvas is 25x19cm.. This tiny Dragonling would look great in any Dragon collection. Emerging from within his egg, this ..